The place to eat here, they say, is a café called Figaro. What I find most charming is the fact that it is located on Karl Marx (Karla Marksa)Street. And it is not mentioned in any of my guide books. I found it online through Trip Advisor. The food is a combination of Italian and French. And they speak English and are very friendly. The Italian chef is actually from Italy. They have something called the screwdriver salad. Is it made from vodka and orange juice? I actually had sushi last night. I give it a grade of C. But the worst part was the staff. They were Japanese waitresses, but spoke no Japanese!!! They only spoke Russian. 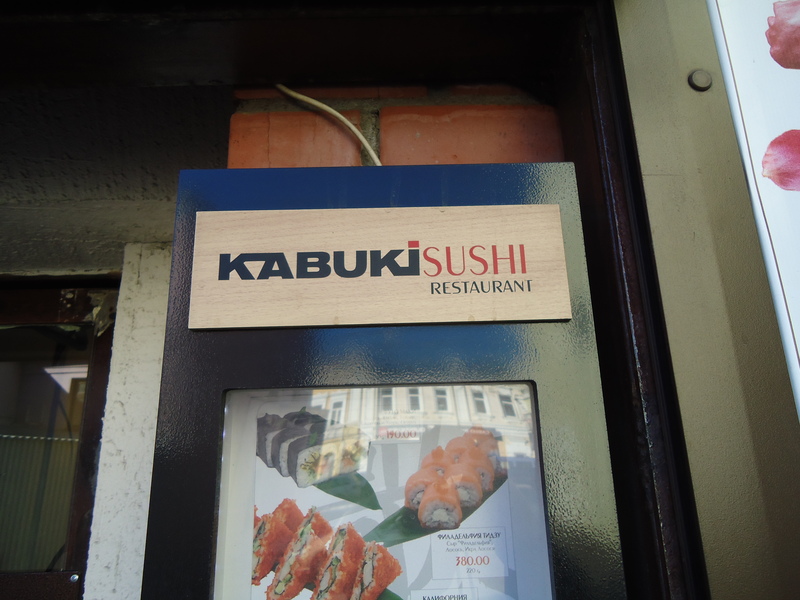 Now, how am I to order uni (sea urchin) in Russian? 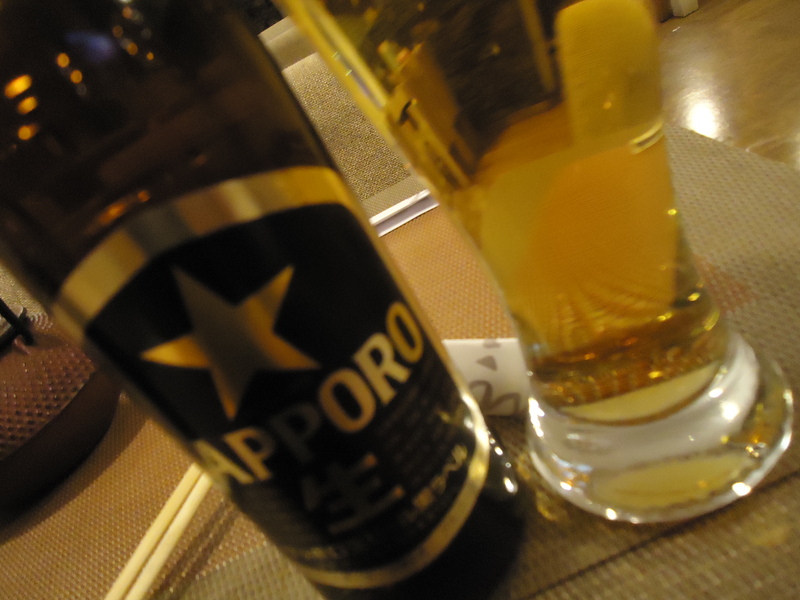 At least, I could point at a photo of the Sapporo beer! 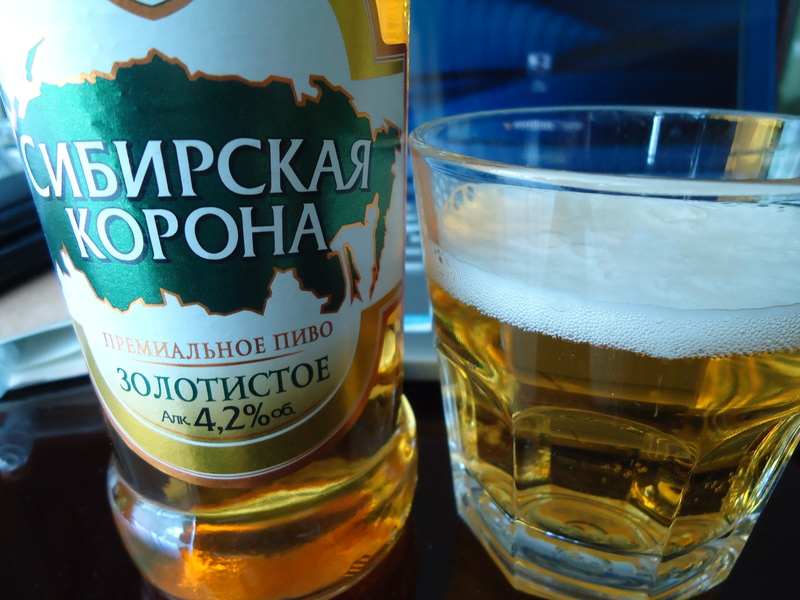 The food variety in this city is much better than anywhere else in Siberia. Yet, I am glad to get back on the train this early Thursday morn. It is at least, predictably mediocre, and will give me a chance to eat some of my food that I brought from home. But this is the friendliest place on the trip, so far. It seems to be a working class town, yet some of the women are quite stylish. And the ubiquitous cigarette smoke is enough to cause lung cancer due to second-hand smoke! Even the young kids here are smoking, more boys than girls. No wonder their life expectancy is dropping here, whereby the rest of the world is increasing slowly. Well, time for a last decent shower, at least for a few days. I do not mind the constant movement of the train, except for water closet and shower time. Eating and drinking are no problem, though sleeping can be a challenge.